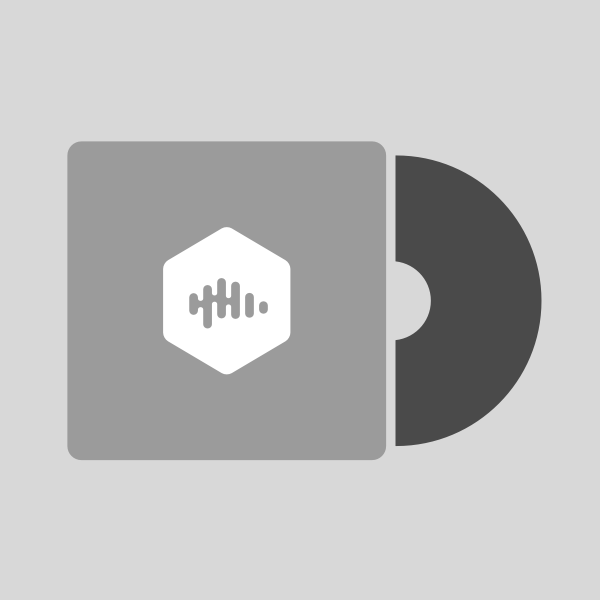 The purpleJOURNAL Podcast | Listen Free on Castbox. The purpleJOURNAL Podcast is the podcast for purplePTSD.com, one of the leading independent sources for Minnesota Vikings news/opinions and content and sister site to VikingsTerritory.com! On this episode of The purpleJOURNAL Podcast the fellas break down the breakdown in Chicago and the subsequent panic from Vikings fans and media, whether or not this Vikings team is a Super Bowl contender, why they are or aren't and whose "fault" that is and the outlook for the rest of the season and the huge game against Green Bay on Sunday Night! Bye week news, looking forward to the game of the season Sunday night in Chicago against the Bears, etc. On this episode the fellas breakdown the defensively dominate game against the Detroit Lions from Sunday, news tidbits from around Vikingsland and the upcoming Bye week and what it means for the team and the rest of the season! On this episode of the purpleJOURNAL podcast the fellas break down the gift the Vikings offense gave the Saints, other news of the week and the upcoming divisional game against the Lions! 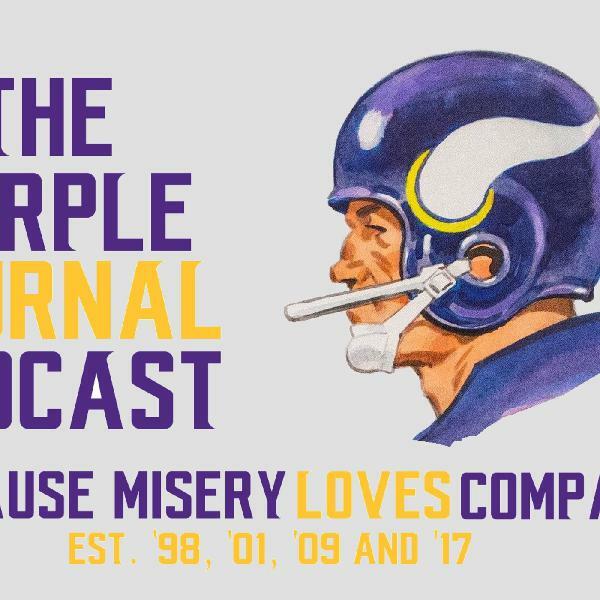 On this episode of the purpleJOURNAL podcast the fellas break down the good, bad and the windy against the Jets, from Thielen's continuned dominance to Cousins' batted ball problem. They then delve into the return of the team that should not be named, for a rematch of last years Minneapolis Miracle! On this episode the fellas discuss the get right game against the Cardinals, Mike Hughes' Season ending injury, Adam Thielen's continued dominance and the upcoming game against the Jets! 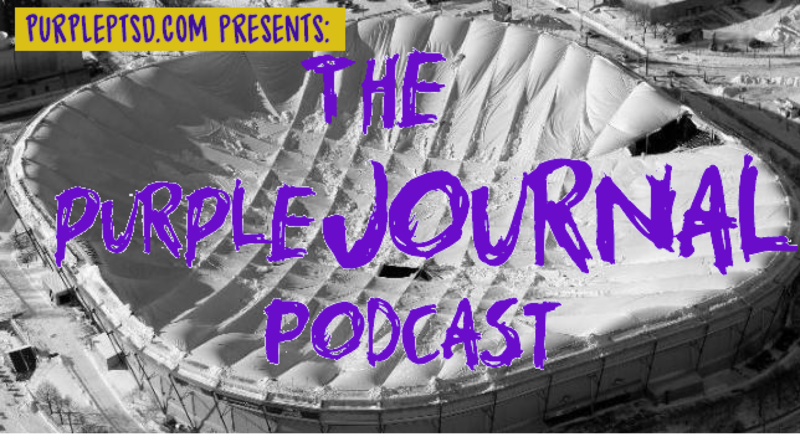 On this episode of the purpleJOURNAL podcast the fellas break down the big win in Philly, while looking forward to the potential for another trap game against Arizona. On this episode of the purpleJOURNAL Podcast the fellas will discuss the Rams loss, Zimmer on the hot seat, moving Remmers back to tackle and whether or not Sunday's game is a must win in Philadelphia! On this episode of the purpleJOURNAL Podcast the fellas talk the changes after the tie in Green Bay, the tie in Green Bay and the potential for a trap game against Buffalo. On this episode of the purpleJOURNAL Podcast, the fellas break down the 49ers game and also look forward to the Packers on Sunday!